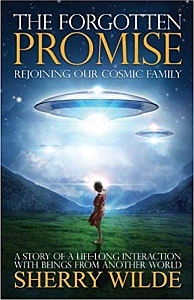 The Forgotten Promise is the work of a lady who has been a UFO contactee since 1968. The Master Jalarm has shared the the Universe is literally teeming with life in the many different constellations, galaxies, universes and multiple universes. This book shows just how far back the foundation for Ascension of the Earth to the 5th and higher dimensions was laid down – and the roles humans have in this process.